To all our members, sponsors, partners, ambassadors, guides and volunteers. 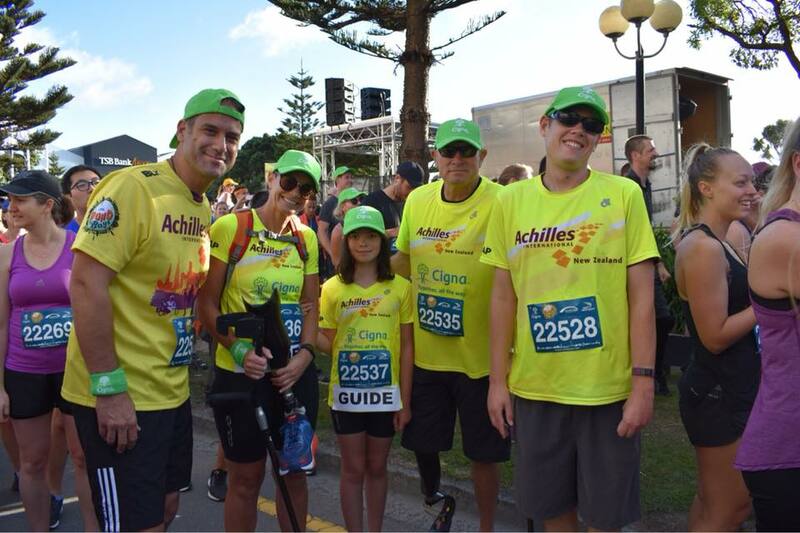 Welcome to the August edition of the Achilles NZ newsletter. It is with sadness and deep grief when we all found out that Greg had passed away while on holiday with his family in Switzerland this month. We know many of the Achilles family knew Greg and are grieving for him and his family. 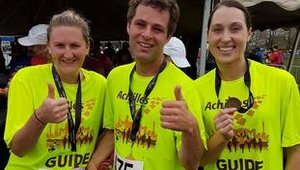 We here at Achilles remember Greg fondly, as a guide with a great smile, a man who would always be available to help when necessary and fond of friendly banter. We all will miss him immensely. · The survey results are all in and the final touches have been made to the strategic plan for the next few years. A summary of all the work the Board has been doing on the strategic plan will be released shortly along with the survey results. · Work on the budget is the next big ticket item that is now being put together by the Board and will be completed over the next couple of months or sooner. · The Board also welcomes Alana Lythe as the social media coordinator. Alana is an athlete and coach so you will be seeing her at various events and seeing all her work on our Face Book page, Website and Instagram. 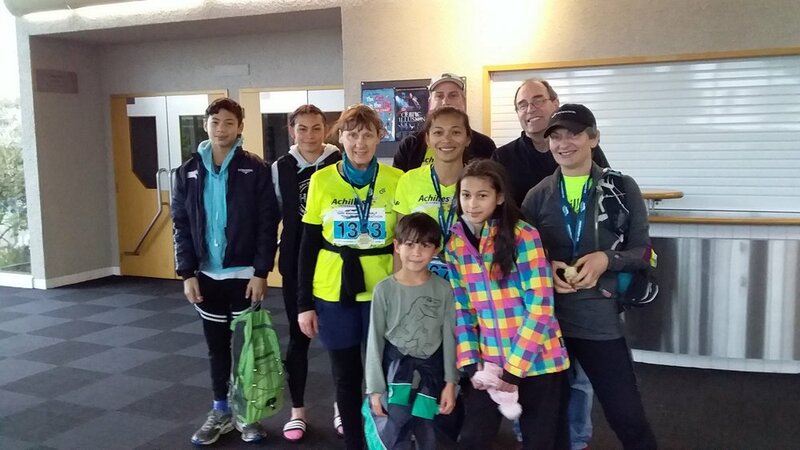 It was great to see some of our athletes and guides participate at the Taupo Marathon on the 4 August with Karen, Mike LIoyd and Tamati Pearce building up for the New York Marathon. The rain off and the weather was better than predicted. 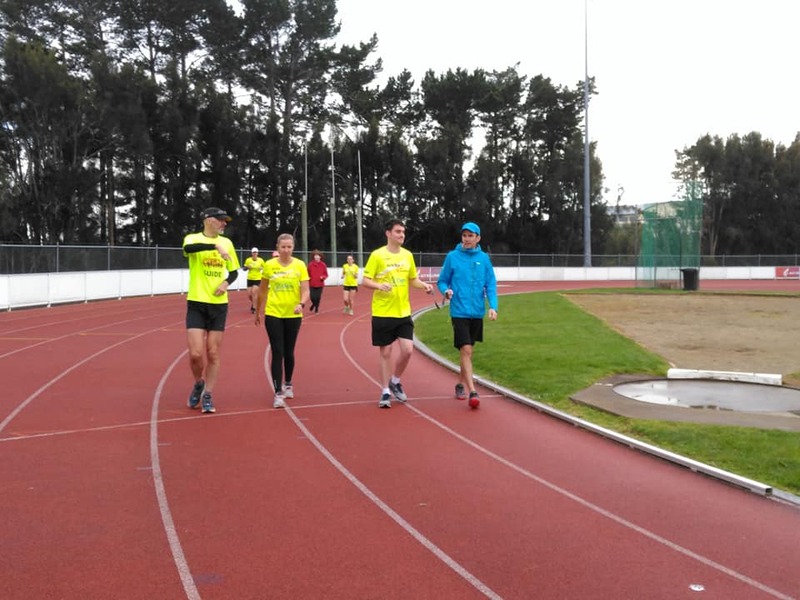 Tehuia ran his second marathon in 4hrs 17mins with the support of guides Kiri Price, Victoria Wicks-Brown, Josie Walcot and Olivier Lacou. 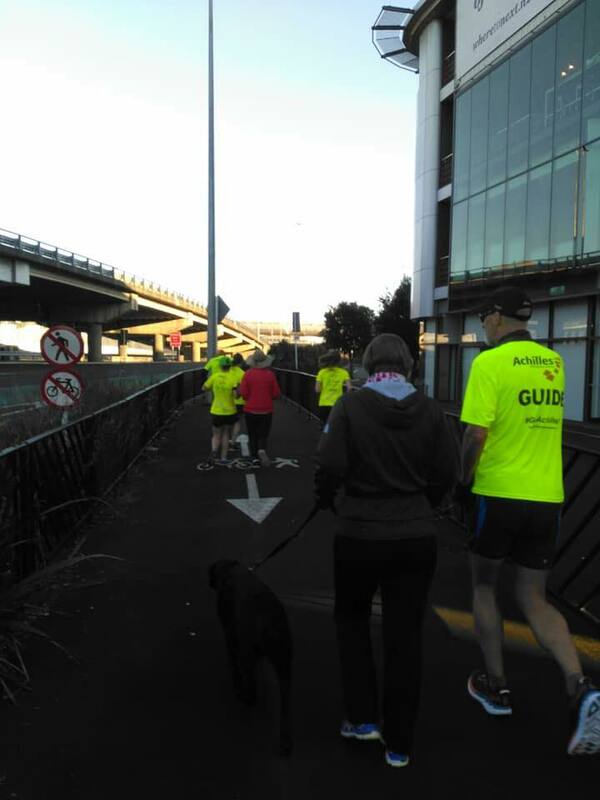 Tamati ran half marathon and finished in 2hrs 46mins supported by Jonathon Hagger, Kelly Mitchell and Natasha Cubis. Mike also ran the half marathon in 3:17 guided by Wendy Brenkley and Lars Madsen. 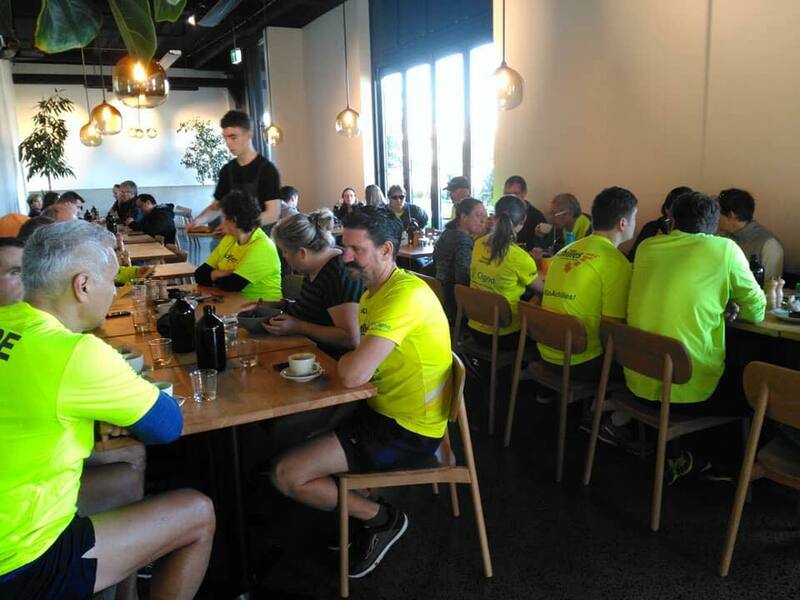 "Thanks to Marion Fournier for providing a cosy spot at the Taupo events centre for us to provide pre and post- race goodies. ! I also had an opportunity to talk people about what Achilles whilst I was waiting for our Achilles to finish their events. Thanks to the Marden family, Collings and all the guides and family members who came to support all the athletes.
" The best way to find yourself is to lose yourself in the services of others " -Mahatma Gandi. 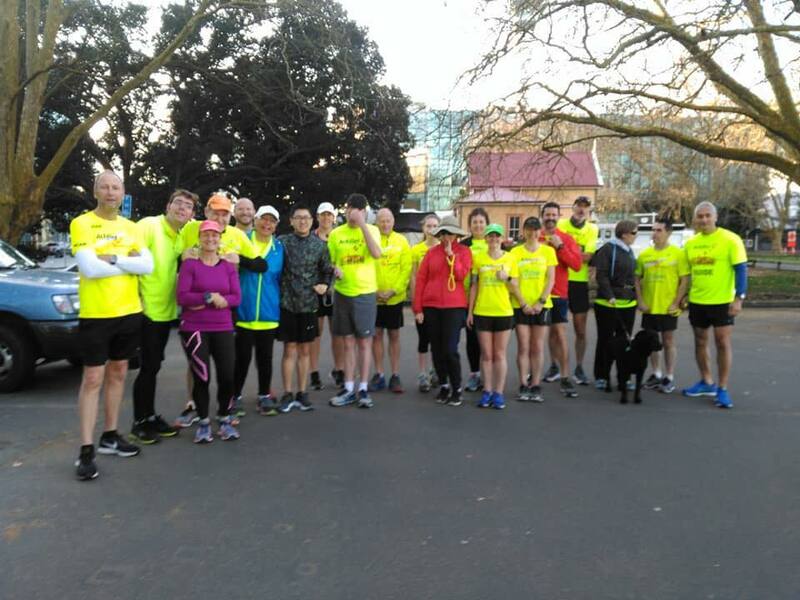 "On a cold, yet dry, Saturday morning in Taupo, I stood with Karen Holland at the start line of the Taupo Half Marathon with 21.1km in front of us. Having never competed in a half marathon before, I was excited and also nervous about how I would go guiding Karen who is a walking Tetraplegic. It was useful that she sent me an email about herself and what she needed from me prior to the race. We also had a plan to record her eating and drinking schedule, as this would help build Karen up to a full Marathon in New York. One thing you can say about the course, and Taupo in general, is that it is stunning. The course took us out of the north domain, past the Great Lake Centre and then along Lake Terrace which forms part of the Thermal Explorer Highway. The first four kilometres offered great lake views, which helped us settle into rhythm. My family came past to meet us at the 16km mark to make sure everything was going well, and Karen and myself enjoyed seeing the kids come to say hi. Coming back into the Domain was also an amazing experience. My family was there waiting and clapped and cheered us on as we walked briskly down the finishing chute to cross the finishing line in a time of 3hrs 55 minutes. It was a great event, and an absolute pleasure guiding Karen. 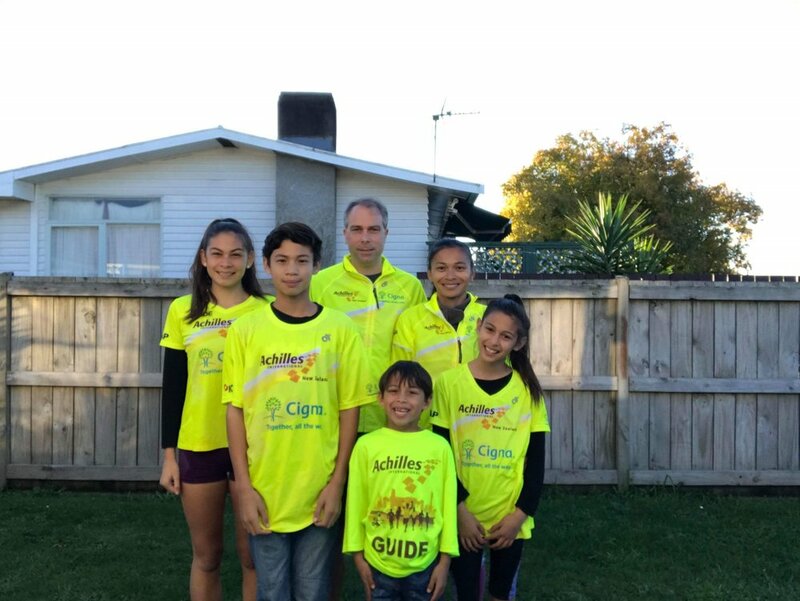 We are already looking forward to the next event (the Hamilton Half Marathon) where my oldest daughter Kirsten will also be helping guide." We want to congratulate Shaz Dagg one of our Wellington members who happens to reside in that great little town of Fielding. Triathlon New Zealand selectors have awarded Shaz a spot to compete at the Paratriathlon Elite World Series Final on the Gold Coast in the PTS4 race on the 15th of September 2018. Please click on the button below to go to NZ herald to read the whole article on Shaz! 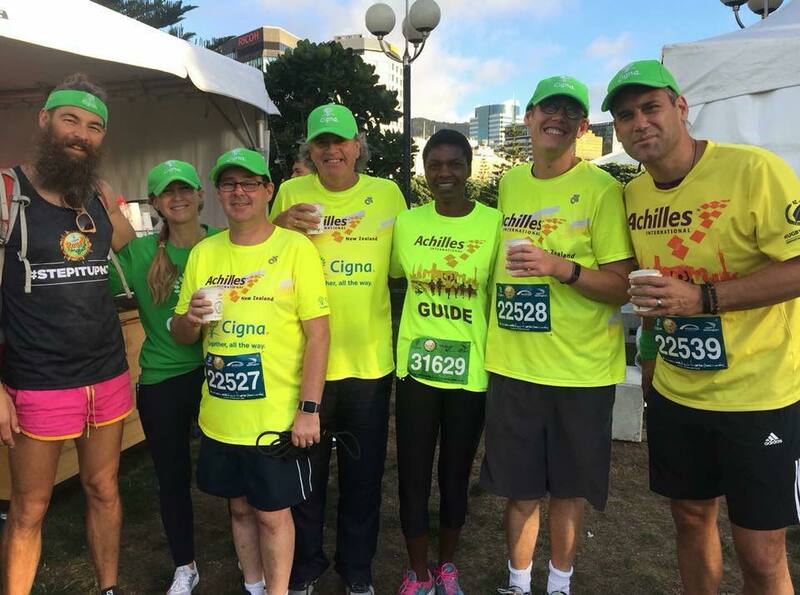 Cigna are offering to pay for the entry fees for Achilles athletes and their guides to participate in any distance at the Queenstown International Marathon on the 17 November. It’s mainly a flat course, with a few undulations to keep it interesting and four distances to choose from, 42.2km, 21km, 10km and 3km. The course offers a mix of running terrain, with 70% of the course on smooth hard packed trails and 30% on road. The course is set between the backdrop of the world renown Crown and Remarkable mountain ranges, and taking in the best highlights of the Queenstown Lakes region including Millbrook resort, Arrowtown, Lakes Hayes, Shotover River, Lake Wakatipu, Queenstown Gardens and finishing in the heart of Queenstown itself. This is an opportunity not to be missed! 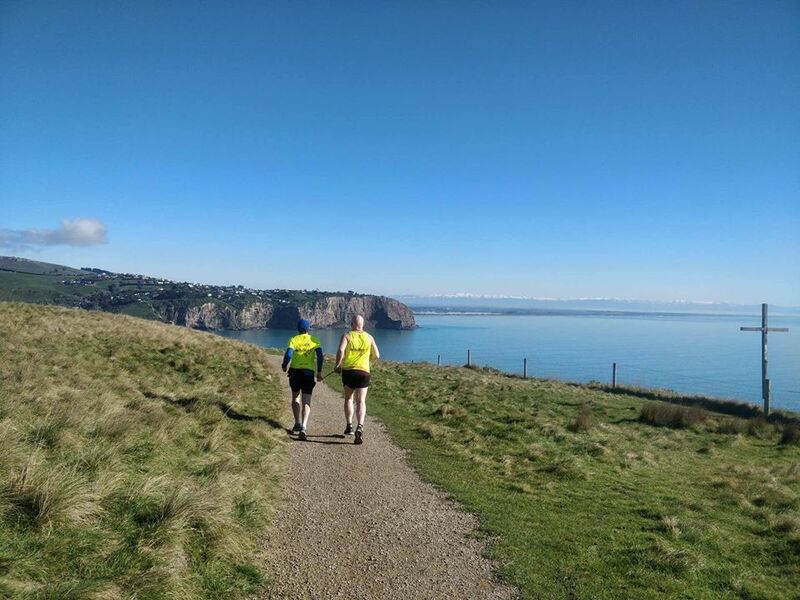 Plus, all distances receive a finishers medal so if you’re looking for something to add to the trophy cabinet then get in touch with John and he’ll sort your entry details out with Cigna. Do remember accommodation will be at a premium for this great event so please start asking your friends and family whether they know of anyone in the region where you might be able to stay if you cannot find accommodation. Our next big event to attend will be the Hamilton Half Marathon, 10km and 5km on Sunday the 30th of September. Every finisher will receive a 15th anniversary medal. The Hamilton Chapter were great hosts last year and they are ready to have another great party after of course everyone has competed in their chosen event. Please go to www.hamiltonhalfmarathon.org.nz to register and for further information. Do have a great month of September as we celebrate leaping, wheeling, walking, swimming, biking and running into spring. 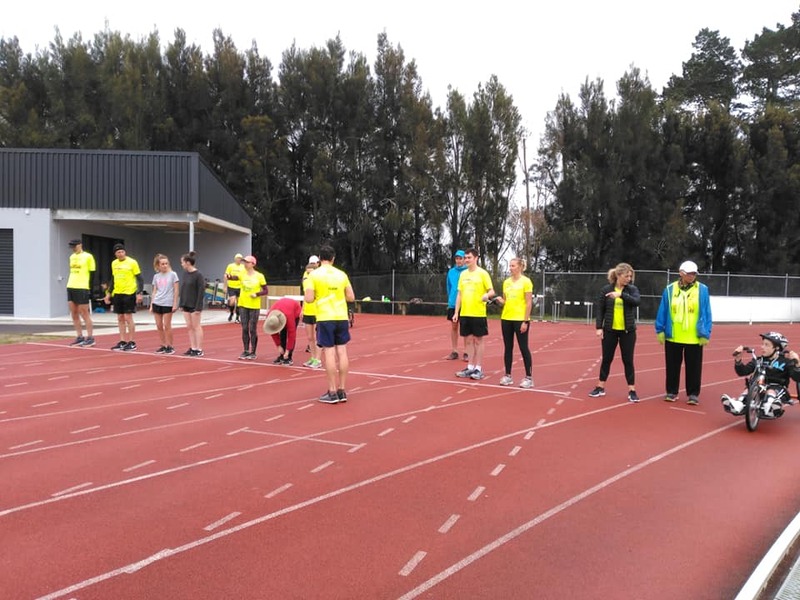 Do keep up all the great training as you all participate and prepare to participate in events all around New Zealand or overseas.